Buzz4You - A Entertainment News Portal Box Office BOX OFFICE REPORT Shivaay Box Office Collection Till Date ..Flop.. Shivaay Box Office Collection Till Date ..Flop.. Shivaay had a huge fall in the fourth weekend and has now almost come to the end of its run. It is the seventh highest grosser of 2016 and will finish its run with 85 cr nett. 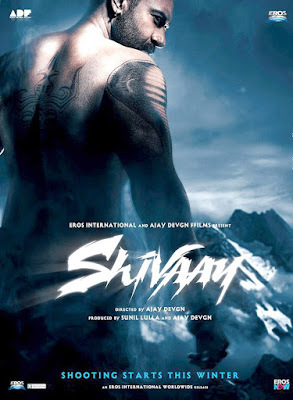 The Worldwide business of the film will be 133 cr which is seventh best for an Ajay Devgn starer.